The beautiful Jeddah is known for its beautiful beaches, Jeddah is a modern city in Saudi Arabia and a gateway for pilgrimages to the Islamic holy cities Mecca and Medina. So it is only natural that Jeddah is filled with resort hotels located on the beach and corniche. If you're getting married in Jeddah and want a hotel with a sea view, then you must check the following hotels and resorts. The Park Hyatt Jeddah offers 2 elegant ballrooms, Lazurde and Al Sohba ballroom, where you can have a sunset wedding overlooking the Red Sea and welcome your guests with the best drinks followed by a tasteful dinner at The Palm Courtyard of either venue. Contact Park Hyatt Jeddah Marina Today! This exquisite hotel offers seven elegantly themed halls and flexible spaces for events. Fully equipped with the latest digital technology and modern amenities. 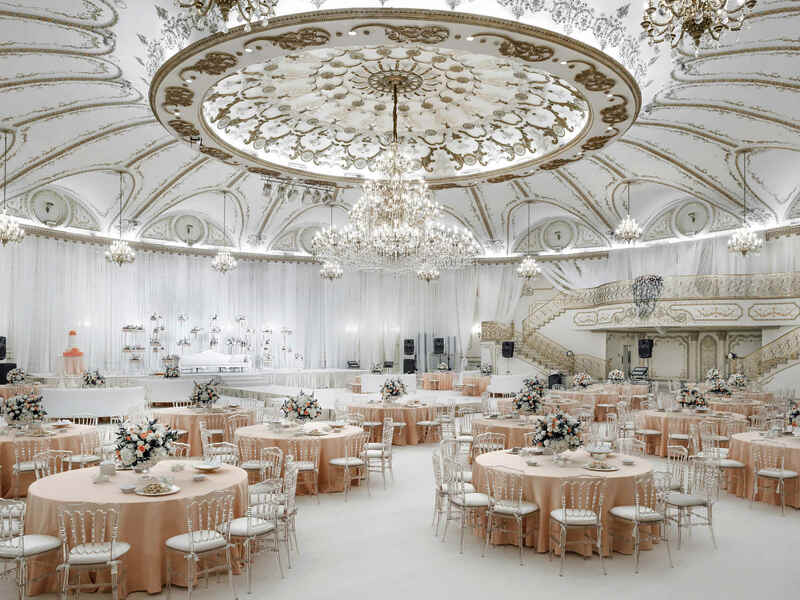 The Sofitel hotel in Jeddah has the Duniaty Ballroom, Jeddah's only pillarless ballroom, fitted with the latest technology. The ballroom can take up to700 people. The Hilton Hotel offers 2 huge ballrooms that takes up to 3500 guests, choose between The Hilton Hall or Al Qasr Ballroom, or choose from a variety of other flexible meeting spaces. Jeddah Hilton Hotel also offers outdoor event space for about 1,000 invitees. 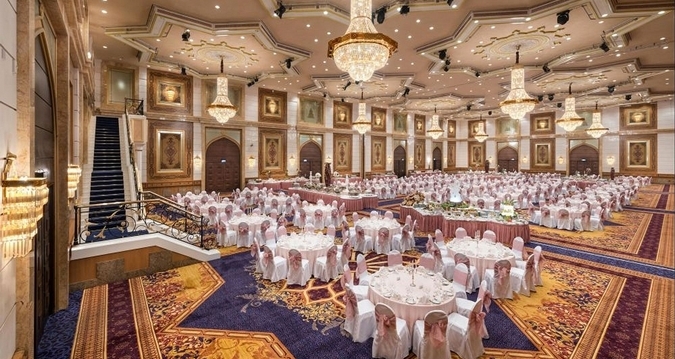 The elegant ballroom at the Elaf Jeddah Hotel offers comprehensive seatingm, catering, and many other facilities. The Elaf Jeddah team of professionals attends to every detail and makes it an event to remember. Aldana Ballroom is a multipurpose hall flexible to accommodate 3 different events at the same time.